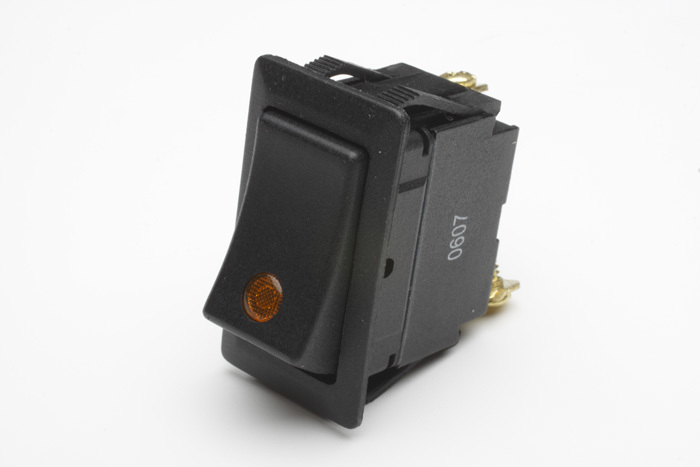 This heavy duty, ON-OFF switch is rated 26 amp, 12V D.C. It is available in RED, GREEN and AMBER. Lighted Rocker Switch, Amber / ea. Lighted Rocker Switch, Green / ea. Lighted Rocker Switch, Red / ea.